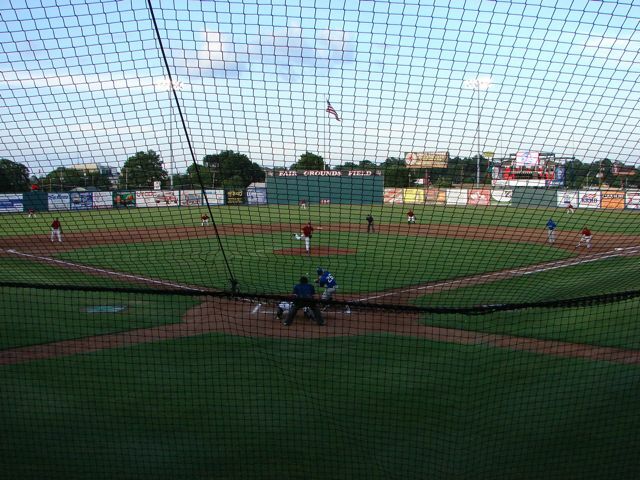 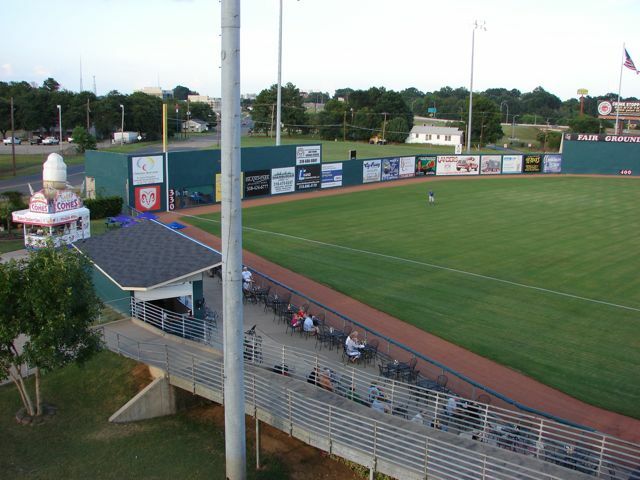 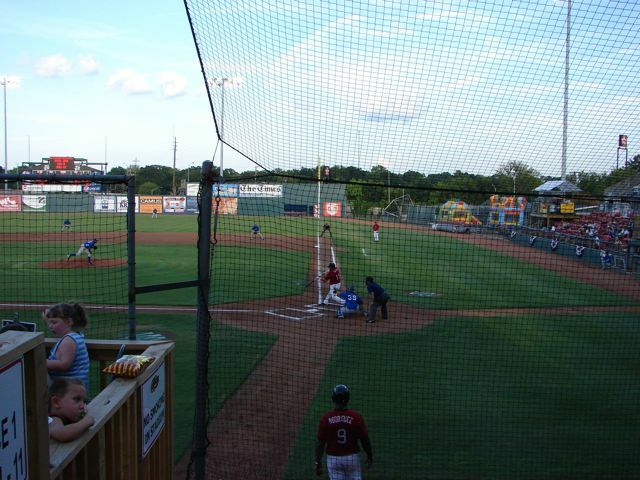 The Shreveport-Bossier Captains, a team of the American Independent League, play at Fair Grounds Field, which was built in 1986 for a Texas AA League team. 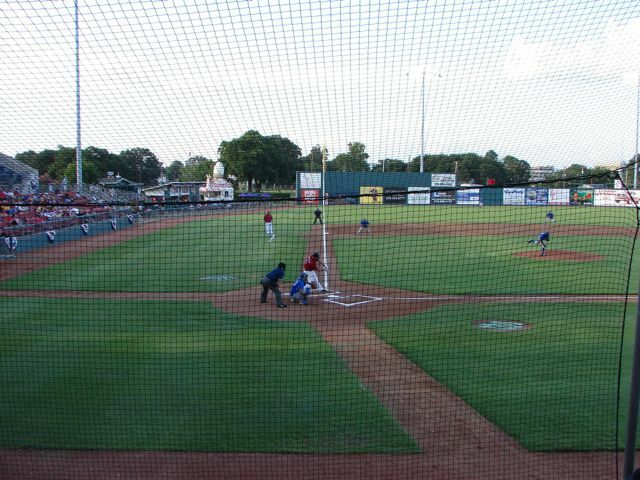 It was renovated in 1999 and 2009. 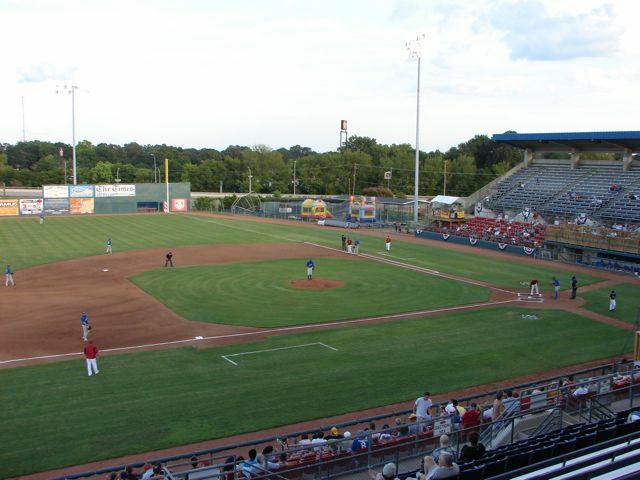 It seats 6,400 fans. 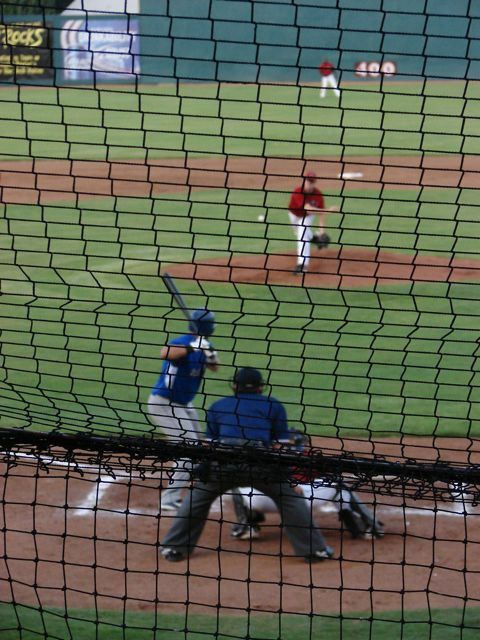 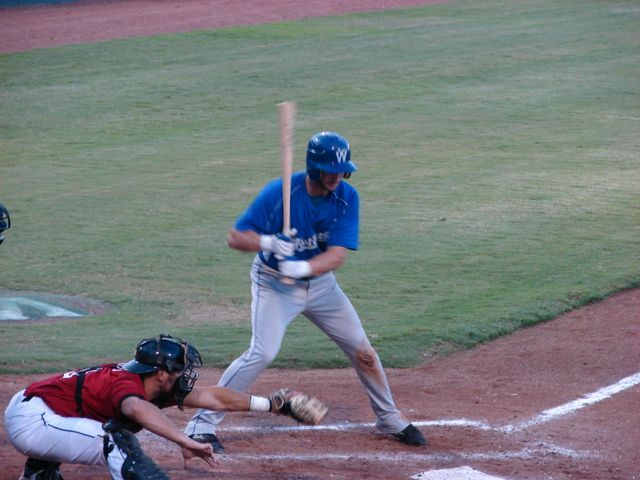 The Captains were playing the Fort Worth Cats and won 4-1. 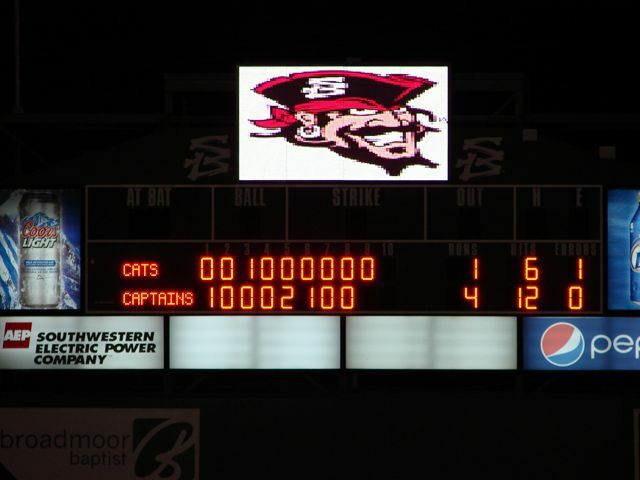 The box score was Cats R-1, H-6, E-1 and Captains R-4, H-12, E-0. 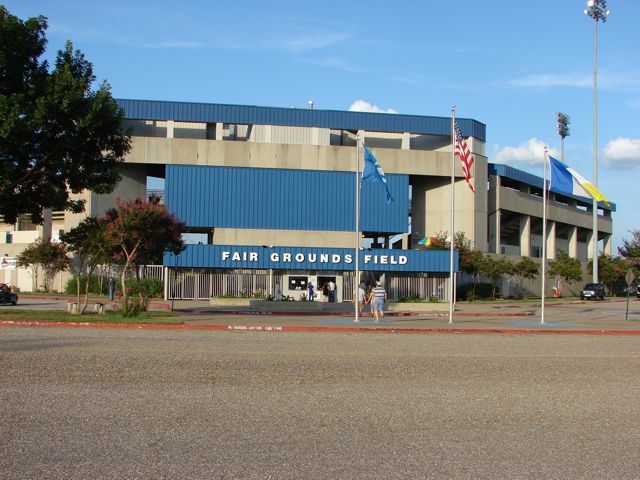 The field lines are RF-330', CF-400'. 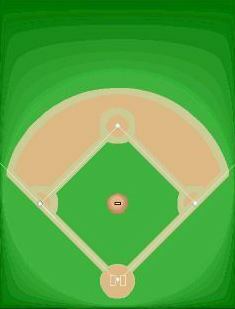 and LF-330'. 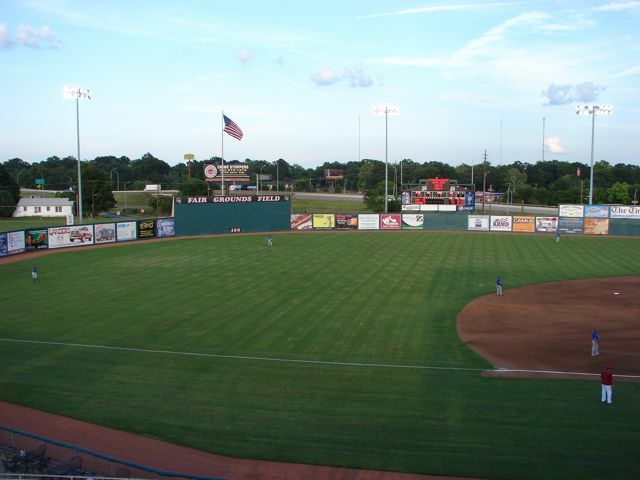 There are 6 rows of seats below the aisle and 5 rows above the aisle on the 3rd base side only. 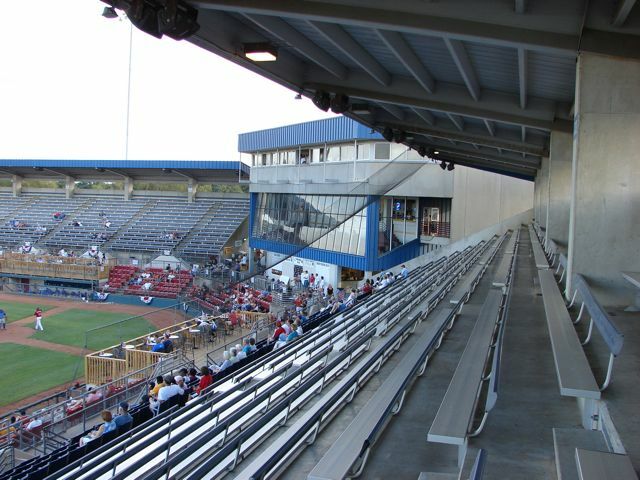 All other seating is bleacher with backs. 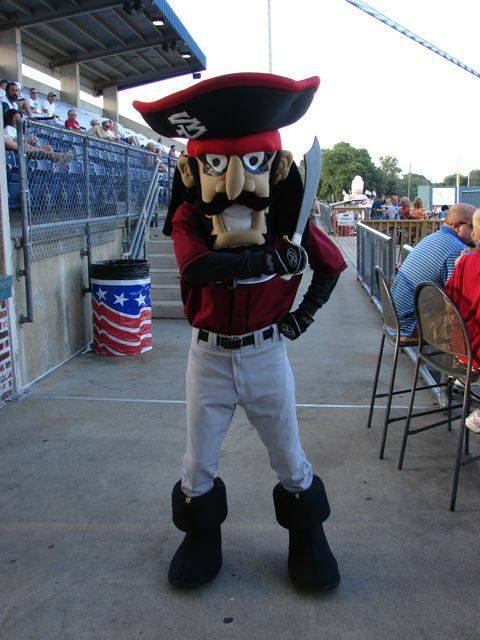 The mascot is Capt Jack. 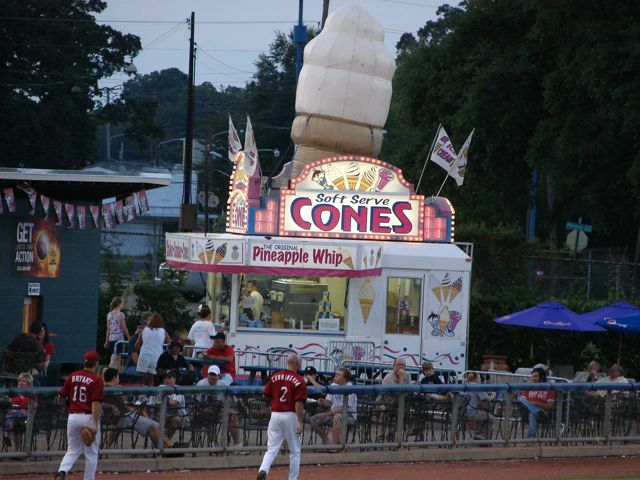 Nicely designed ice cream stand down the 3rd base line. 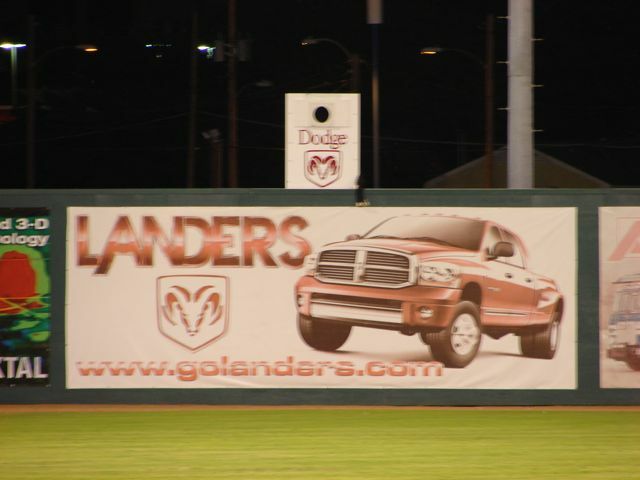 Landers Dodge has a sign in left center field with a hole in it. 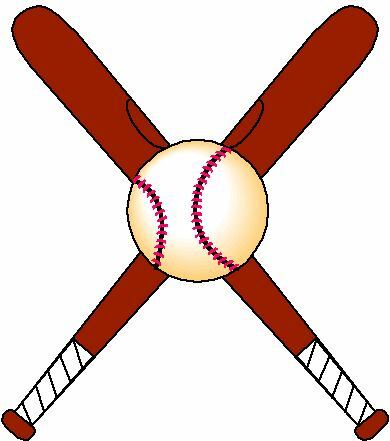 If a home players hits a ball through the Home Run Blast hole a fan's name is drawn for a new Dodge value between $25,000 and $32,000. 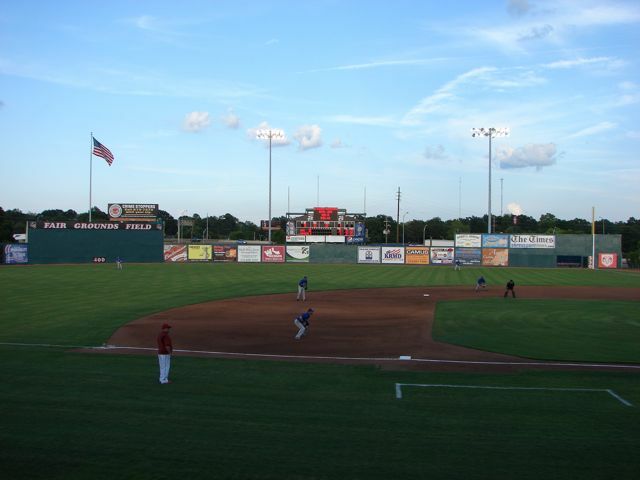 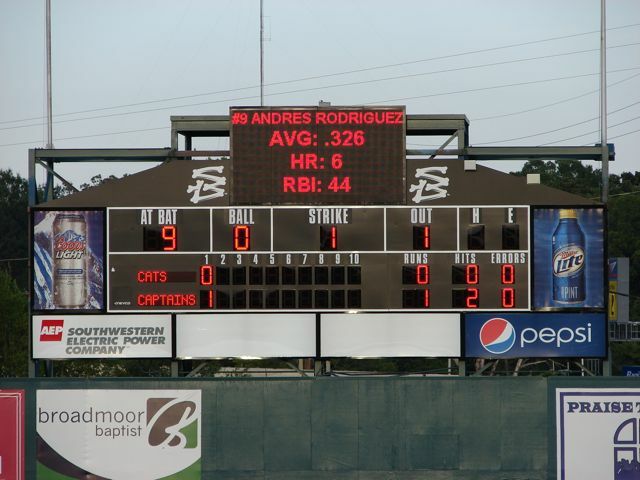 Moved to Laredo, TX in 2012 to become the Laredo Lemurs.